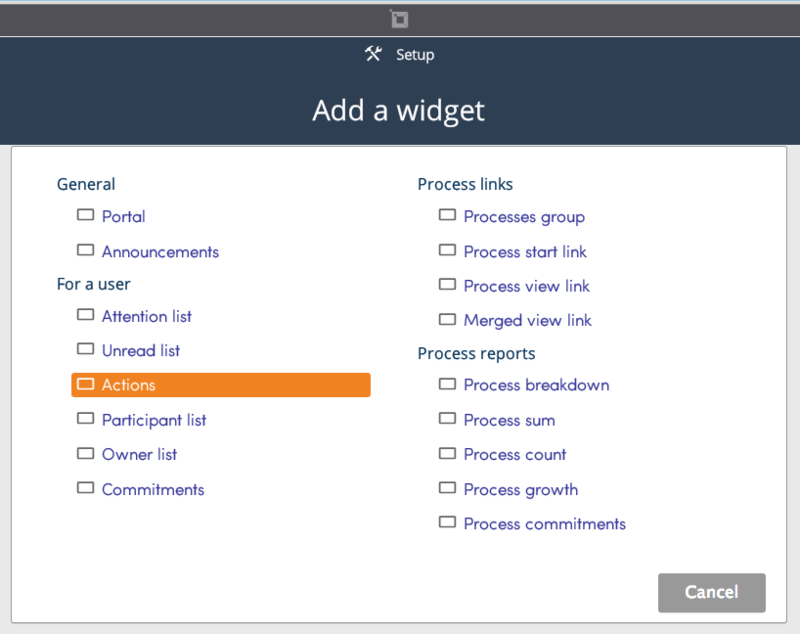 Add an Actions Widget to a Dashboard to display a user’s Actions. Up to 10 actions will be displayed in the widget. The actions widget also serves as a quick portal to the form that is associated with the Action. Clicking the title of the form will take you directly to it.